Marquette University's renowned faculty-scholars work to advance their fields and improve the world around us. Faculty edit a number of scholarly journals and frequently collaborate with academic partners around the world. Marquette is also home to more than 20 academic centers and institutes. 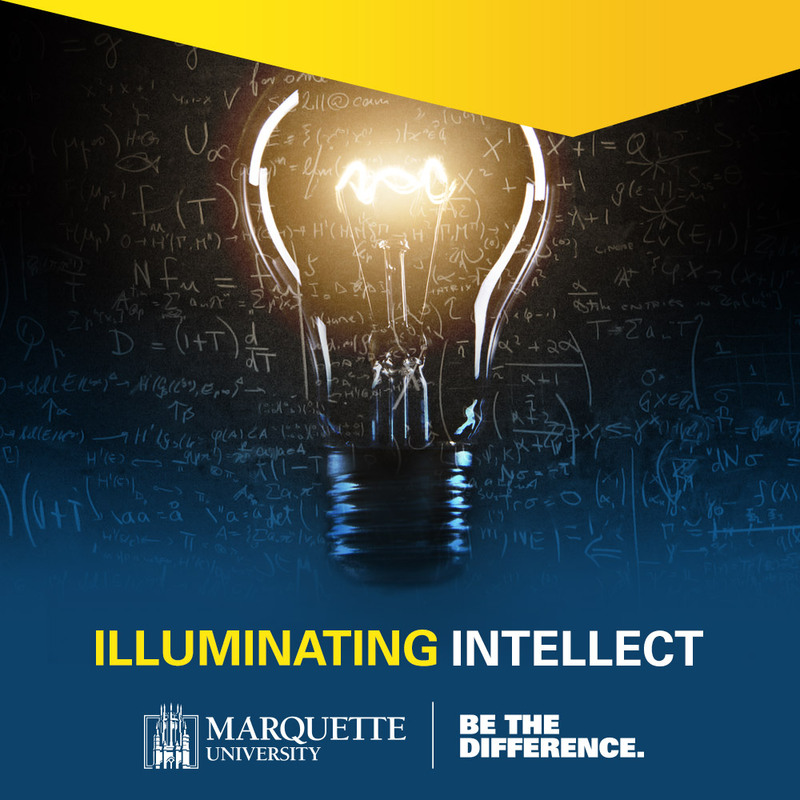 Illuminating Intellect is a podcast series highlighting the personalities and pursuits of Marquette University faculty members. Marquette University Research and Scholarship is out. Read about this year's featured researchers. Marquette's overall award volume in fiscal year 2013 reached a record high, with faculty receiving more than $29.1 million in awards. The university's technology transfer and commercialization program continues to grow, and there were record number of invention disclosures in fiscal year 2013. Two patents have been issued since then and an exclusive license agreement was finalized. More than 80 faculty are members of the National Institutes of Health-funded Clinical and Translational Science Institute of Southeastern Wisconsin. Members, other faculty and students regularly participate in CTSI-sponsored grant competitions, educational and networking opportunities, and the development of Marquette's Clinical and Translational Rehabilitation Health Science graduate program. The university supports research through several programs: three-year Way Klingler fellowships, sabbaticals for junior faculty and the Lawrence G. Haggerty Faculty Award for Research Excellence. Marquette faculty edit a number of scholarly journals, from the Journal of Orthopaedic and Sports Physical Therapy to the International Journal of Systematic Theology. The Department of Special Collections and University Archives houses more than 17,000 cubic feet of archival material and 11,000 volumes, including more than 8,000 titles in the rare book collection. The J.R.R. Tolkien Collection features many of the author’s original manuscripts, including The Hobbit and The Lord of the Rings. This study aims to understand how teenagers with autism and their parents are affected by social skills therapy, the Program for the Enrichment and Education of Relational Skills, or PEERS. PEERS is an evidence-based, manualized, 14-week, outpatient treatment program developed at the University of California at Los Angeles. Dr. Van Hecke is certified by UCLA to provide the PEERS program at Marquette University.